August. When it's too hot outside for anything but barely there camis but then you're left freezing while waiting for your venti iced (dirty) chai tea latte. I've gotten into the habit of always having a jacket option with me after one too many brunch adventures turned into freeze-your-a**-off, late night outings. Here I paired an amazing Finders Keepers cami with white baggy shorts. Super easy, looks hella cool girl and might actually keep you from breaking a sweat. Threw on my trusty denim jacket as a layering option and comfy new balance sneakers to keep it casual. This is LA after all. 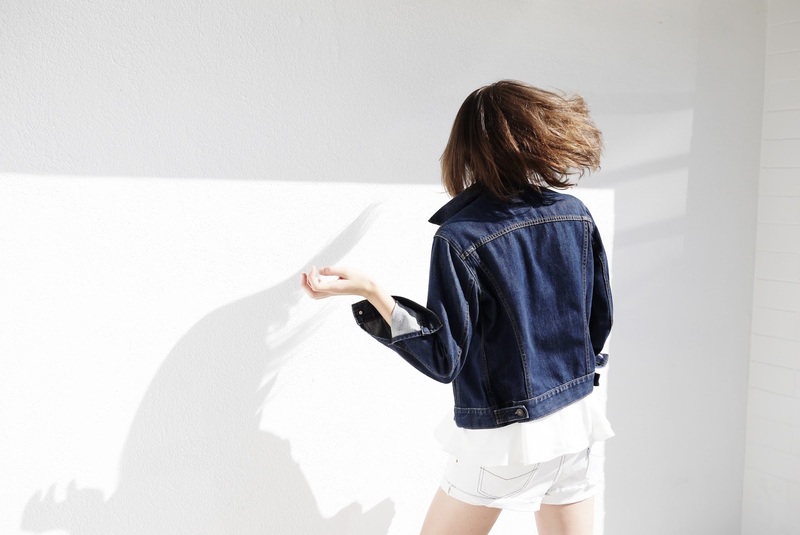 I love the denim jacket on the white top and bottom!